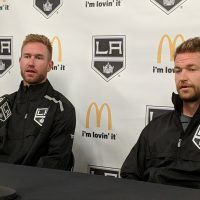 The Ontario Reign played host to the AHL’s hottest team Saturday night as the Bakersfield Condors were in town. Ontario came in with a unsatisfactory 3-6-1 record in it’s last 10 games. In a 6-1 loss in San Diego Friday night, they totaled just 17 shots. Bakersfield, on the other hand, had won nine games in a row, the longest active streak in the AHL. The Reign started the game off giving up a two goal lead. Veteran Brett Sutter grabbed a late goal to half the lead going into the second period. After a tough fought first half of the middle frame, Ontario gave up two more quick goals. A second Caleb Jones goal would push the Condor lead to 5-1 heading into the third. Bakersfield would score once more for good measure and win their 10th straight game 6-1. 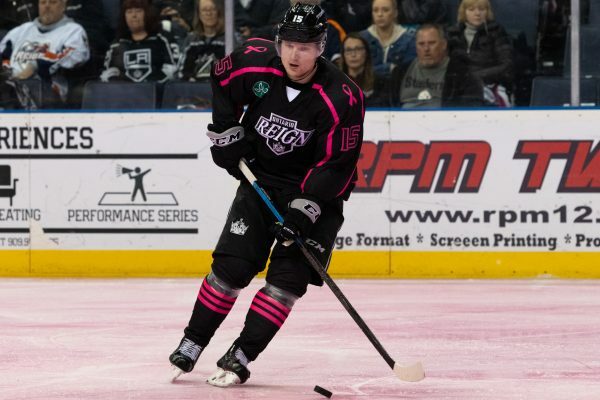 Carl Grundstrom – Netted one assist in his first game with Reign has 13+17=30 points in 44 games played. He was bounced between lines Saturday as he continues to become familiar with the team. The newness showed a bit as Grundstrom went -1 on the night with no points. The description of him as a hard-nosed player who hustles is evident, though the results of such have yet to materialize. 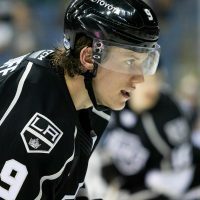 The final 20 or so games of the Reign season will be a nice sample into what the Kings have in Grundstrom. Look for him to possibly get a call up for an even closer examination. Matt Roy – Notched an assist Friday night and has 7+18=25 points in 41 games played. He plays big minutes for the Reign and the increase in opportunity has shown. Despite the -4 rating for the night, Roy already has career highs in goals and assists this year. 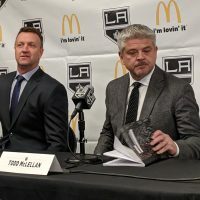 With the fluidity of the roster and what many consider will be available opportunity in all areas of the ice, Roy may be poised to compete for a job in LA next season. Cal Petersen – Another solid effort from Petersen that ends with a forgettable result. He hasn’t had a ton of run support at times this year as this Reign team struggles to climb back up the standings. Petersen is a promising goaltender who has done well with his extended opportunity with Ontario this year. 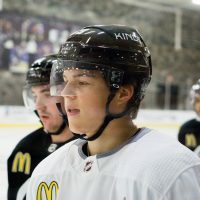 Despite the result of the game, the once diminished Kings’ goaltending pipeline is in good hands with Dusty Imoo. I just got a call from Kyle Dubas and he said I was traded for Jake Muzzin. A great organization with a couple of really good players. Good expectations for sure. Yeah I spoke with him. I don’t know, I’m just going to play my best. 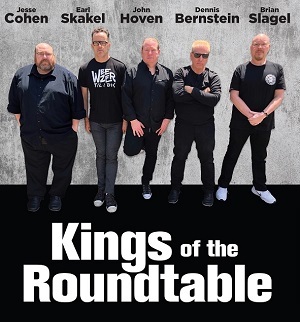 [I’ll] get to know the guys and play as good as possible. I play hard, fast and creative in the offensive zone. It’s different, It’s a new system. It will probably take a couple games to get to know where everyone is going on the ice and stuff like that. Personally, I felt okay. I think I can play better. I’ve got to capitalize on my scoring chances, for sure. But other than that it has been fun and it’s a great group of guys here. The Reign visit San Diego again Wednesday night. With Ontario struggling along with LA, I do not see the point of playing Matt Moulson anything higher than a 4th line role/PP specialist. 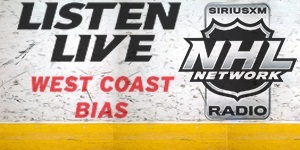 He has no future with LA, or even the NHL for that matter. Wouldn’t it make more sense to give his minutes to younger players who have potential? Even if we’re talking about a fringe player, what’s there to lose? Understand your sentiment. Moulson is there to provide leadership (and does a solid job with that). Re: his playing time, they are still trying to win games. If somebody wants his minutes they just need to outplay him. The opportunity is there. I don’t personally like it, but I get it. Thanks!